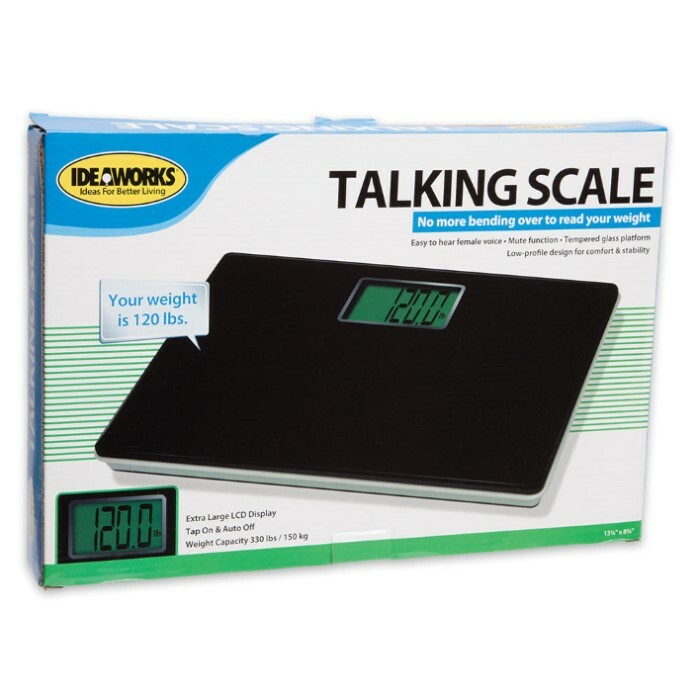 Talking Scale Regular Size | BUDK.com - Knives & Swords At The Lowest Prices! No more bending over to read your weight! 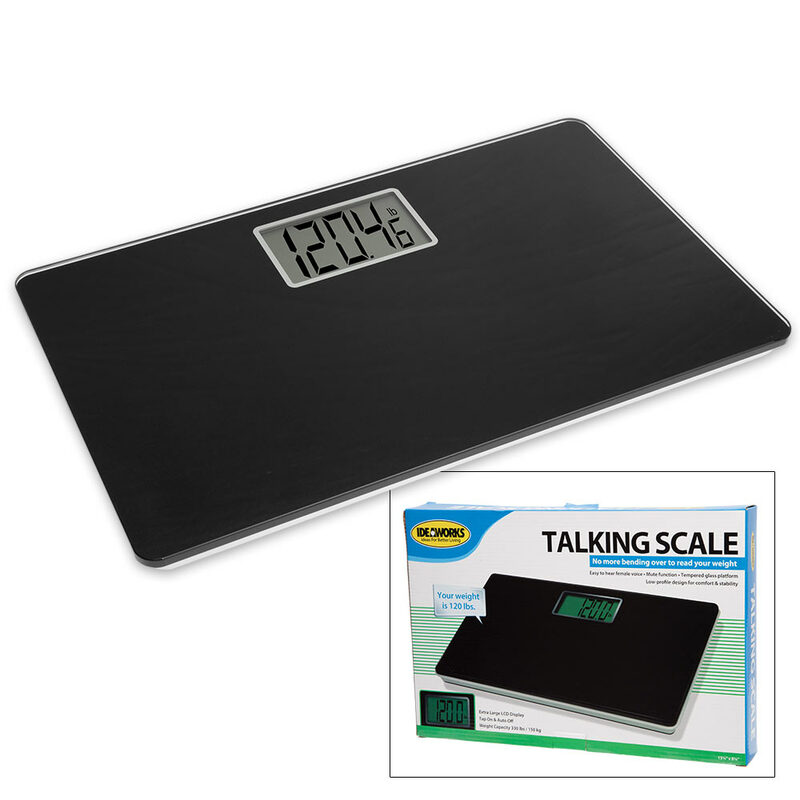 The Talking Scale is a regular-sized scale that will clearly state your weight but it also has an extra-large LCD display. Low-profile platform design gives you comfort and stability. It is constructed with heavy-duty tempered glass and has tap on and automatic off functions. The weight capacity is 330lbs or 150kgs.